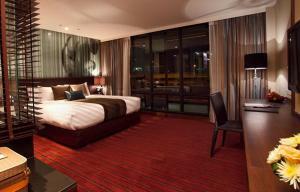 Stylish and modern, M2 de Bangkok Hotel is located in Bangkok’s Din Daeng Area. 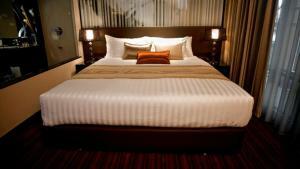 Presenting elegant furnishings and rich décor, it has free Wi-Fi, free parking and room service. 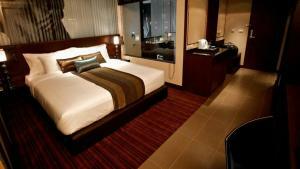 M2 de Bangkok is 19 km from Don Muang Airport. It is less than 2 km from both Saphan Kwai and Mo Chit BTS Stations. With warm lighting and a luxurious feel, rooms at M2 de Bangkok are well-equipped with a flat-screen cable/satellite TV and DVD player. 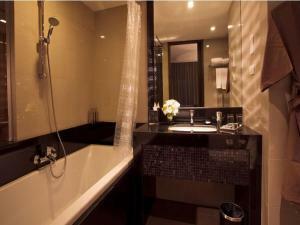 The comforts of a rainshower and premium toiletries can be enjoyed in the en suite bathroom. 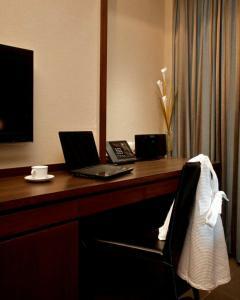 To keep up with the latest news, the hotel provides a business centre and internet stations at the lobby. Safety deposit boxes and luggage storage service is available at the 24-hour front desk. The Deck Pub and Restaurant serves delicious Thai and Western fusion cuisine. Room offers a working desk, air conditioning and ironing facilities. En suite bathroom comes with shower facilities, free toiletries and slippers are provided. 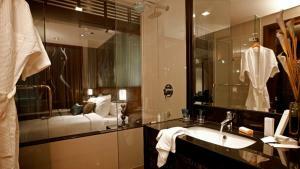 Rate: THB 1765.00 ... THB 2599.00; select dates below to get current rates. Features a separate living area with sofa set and bathroom with bathtub.